The covering or membrane, made of animal skinThe head of the drum. This can be a thin piece of animal hide used on african drums, or a synth... or synthetic plastics, that stretches over the drumA hollow cylindrical shell of any size that has a head stretched over one or both ends and is b.... The batter head is located on top of the drum and is struck to produce sound. 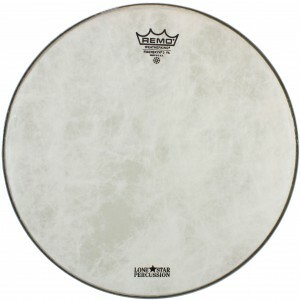 The resonant head is located on the bottom of the drum and affects the sustain of the note.